Dunbar House is a classic home made for comfort and relaxation. 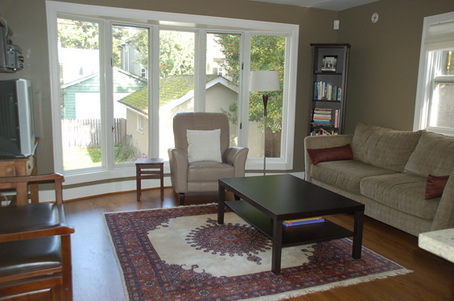 This home is elegantly decorated and has a very open feel. 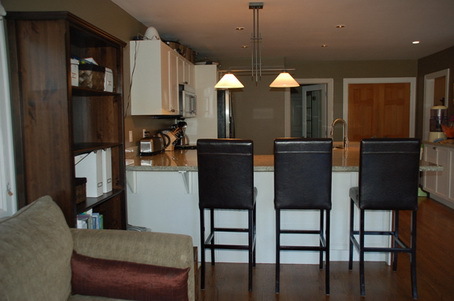 Dunbar House is a lovely vacation home with all of the comforts and conveniences you will appreciate. 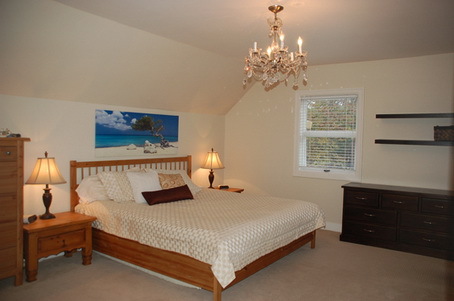 Dunbar house is a four bedroom home that has recently been tastefully renovated. Enjoy entertaining, or just sitting by the fire, in the casual elegance of this home. Large flowing rooms are decorated with a tasteful mix of modern and antique furniture. Lovely, dark wood floors, beautiful Persian rugs and original paintings add warmth and ambiance. 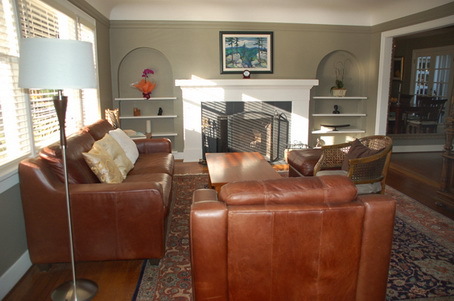 The living room has a beautiful wood burning fireplace with cozy furniture for relaxing. The formal dining room has a glamorous wall sized silver gilded mirror and an elegant crystal chandelier hanging above the dining room suite that comfortably seats eight. 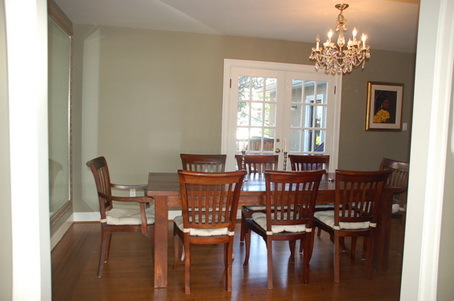 Off the dining room there are French doors leading to a deck with a seating area that overlooks the large backyard. For your enjoyment, there is an open, modern, great room style kitchen with stainless steel appliances and granite countertops adjoining the comfortable family room area. Large floor to ceiling windows allow for plenty of light throughout. The main floor of Dunbar house features a large bedroom with a generous full bathroom with soaker tub and marble tile floors. The second floor features a generous sized master bedroom and full bath en suite with a soaker tub. Two additional full sized bedrooms and another full bathroom with custom glass shower and marble tile floor are also on the second floor. This home is suitable for a group or for a family. Available upon request are a crib, high chair, change table, stroller, playpen, toys and books as well as childproofing items. 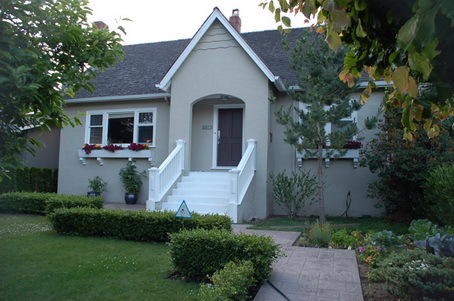 Dunbar house is favourably located in one of Vancouver's most desirable areas. Its an easy three block walk to wonderful parks, transit, shops, grocery stores, theatre, restaurants and a community centre with a gym. The beach is a twenty-five minute walk, while Pacific Spirit is a mere four blocks away featuring fantastic cycling or walking trails and magnificent beaches. All of this is only minutes from downtown Vancouver and Olympic Venues.